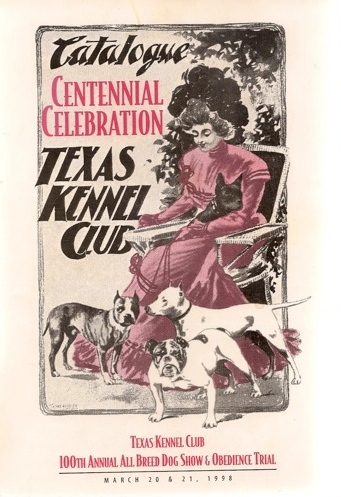 Texas Kennel Club's first show was held from 12 midnight, October 4, 1898, to 12 midnight, October 8, 1898, in connection with the Grand Opening of the People's Great Carnival, the Thirteenth Annual Entertainment of the Texas State Fair and Dallas Exposition. Bloodhounds, Mastiffs, Saint Bernards, Great Danes, Russian Wolfhounds, Deerhounds, Greyhounds, Foxhounds (English & American), Pointers, English Setters, Irish Setters, Gordon Setters, Irish Water Spaniels, field Spaniels, Clumber Spaniels, cocker Spaniels - Black and all other colors, Chesapeake Bay Dogs, collies, Poodles, bulldogs, bull Terriers, Boston Terriers, French Bulldogs, Dachshunds, Beagles, Fox Terriers - Smooth Coated and Wire Haired, Irish Terriers, Black & Tan Terriers, Toy Black & Tan Terriers, Toy French Poodles, Skye Terriers, Yorkshire Terriers, King Charles spaniels, Blenheim Spaniels, Prince Charles and Ruby Spaniels, Pugs, and Italian Greyhounds. George W. Clayton of Chicago, Illinois, was the superintendent and one of the judges. Mr. John Davidson of Monroe, Michigan, was the other judge. Catalogues were $.25. Classes offered were: Local, Puppy, Novice, Limit, Open and winners. A Miscellaneous class was also available. Dogs entered had to be AKC registered ($1.00) or listed in the Gazette ($.25). The Sanger Brothers (Later to merge with the Harris Department Stores) ran a newspaper ad proclaiming themselves "The Largest Retail House in the South" with 250 employees and 118,500 feet of floor space at the corners of elm, Main, and Lamar Streets. 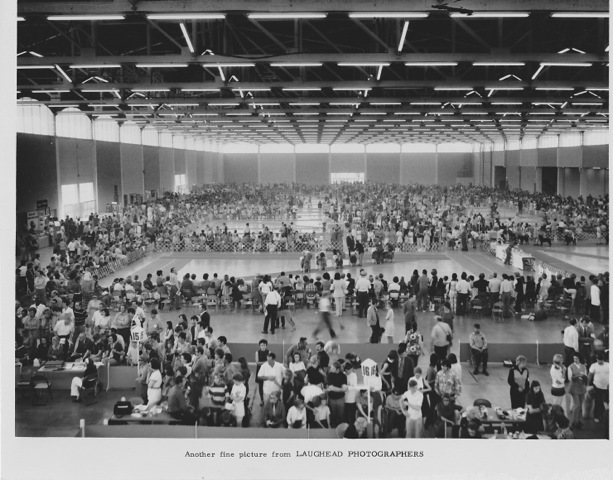 Anheuser-Bush was producing 150,000 bottles of beer a day in its new modern plant. Dallas had 64 miles of street railway-systems. There were 65,260 residents in Dallas, up from 64,224 the year before. The Southern Pacific Railroad acquired the Texas Trunk Railroad. There 91 Churches and missions. There were 50 schools and colleges. Five banks were located in Dallas with an aggregate capital of $1,378,000 and deposits of $3,500,000. And Texas Kennel Club was founded. This was the beginning of 100 years of dedicated and continued service to the advancement of all breeds of purebred dogs. From an 1898 population base of 65,000 residents, Dallas has grown to over one million in the hundred years.